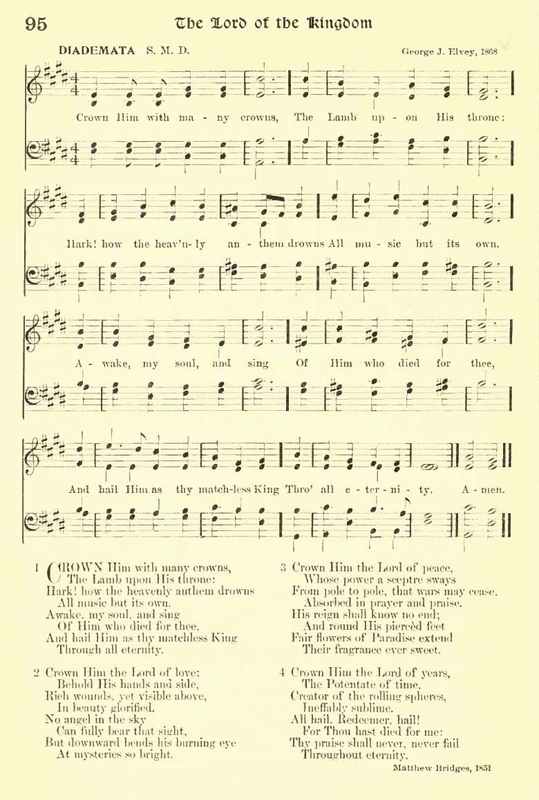 Sheet Music From Arthur Henry Brown, ed., The Altar Hymnal. London: Griffith, Farrar, Okeden & Welsh, 1885, #168, pp. 472-473. 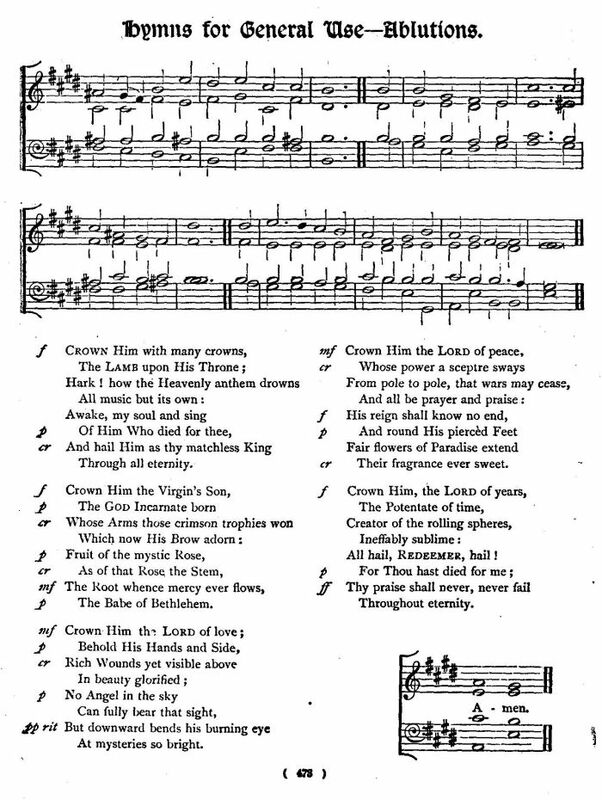 Verses 1, 6, 5, 9 above, with attribution to Matthew Bridges, 1851. As in the Great Antiphons, Christ is here addressed by several of his titles, i.e., "Lord of life," "Lord of peace," "Lord of love," etc. See The O Antiphons; also see O Come, O Come, Emmanuel and O Quickly Come, Dread Judge of All.